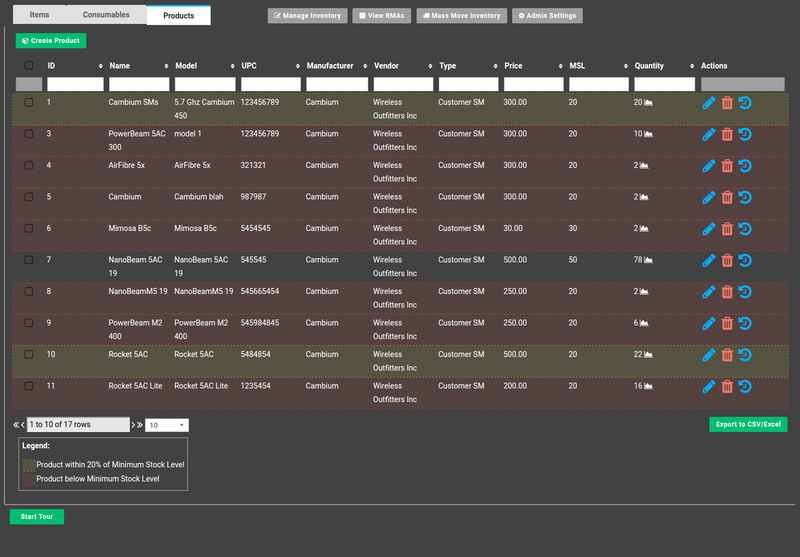 Manage and track all inventory/equipment deployed at customer locations, network locations, warehouses, and trucks. Define specific actions on devices – setup triggers to notify you when the stock level is below a certain point. 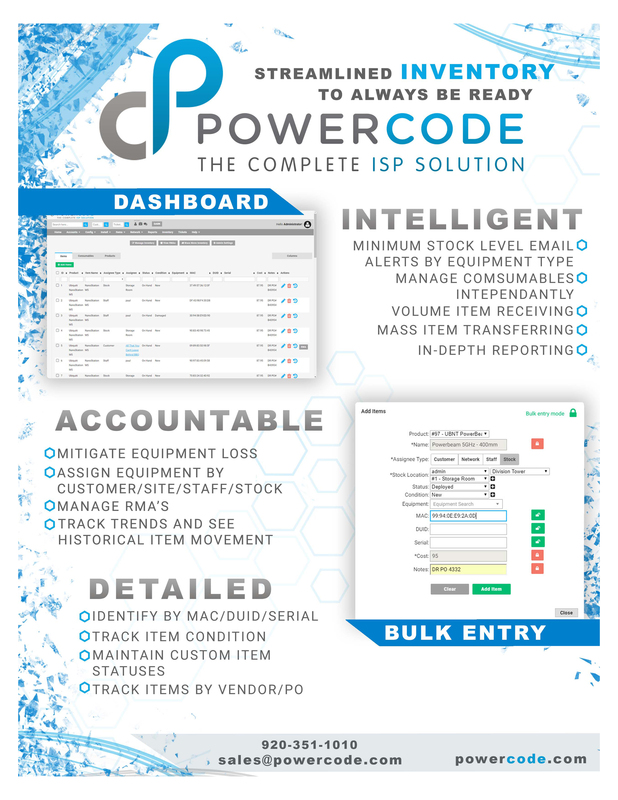 Track RMAs and defective equipment to stay on top of your inventory. 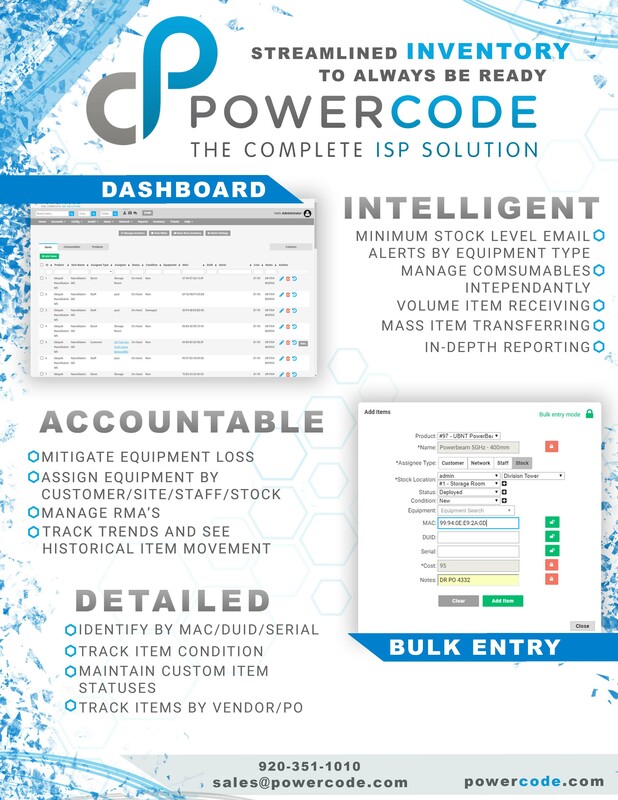 Bulk add products to increase production and generate reports to see quantities of specific types, categories of devices deployed in the field, or equipment available for deployment.